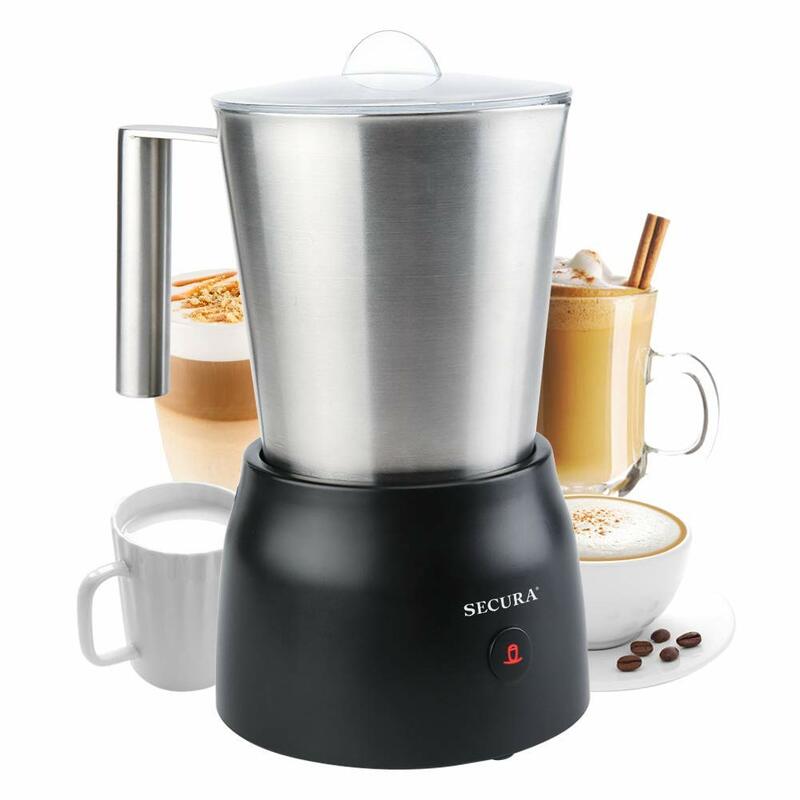 Milk Frothing and hot chocolate maker creates creamy froth for coffee, latte, cappuccino, hot chocolate and other enjoyable, flavorful milk creations. Heating whisk and frothing disks, for heating milk or creating hot or cold rich thick froth in minutes. One heating whisk can be securely stored magnetically on bottom of base. The stainless-steel milk cafe has a proper jug spout which means you can pour without splashing. 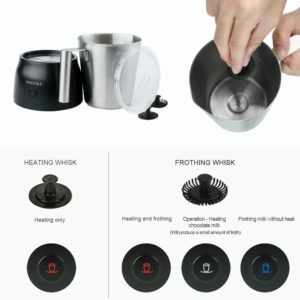 No longer do you have to practice the art of frothing milk with a steaming wand; simply add milk to the pitcher, press a button and the frother does all the work for you. Frothed and steamed milk are the base for a variety of specialty coffee beverages as well as the base for delicious and creamy hot chocolate, however there are even more uses for the milk frother in addition to hot beverages. 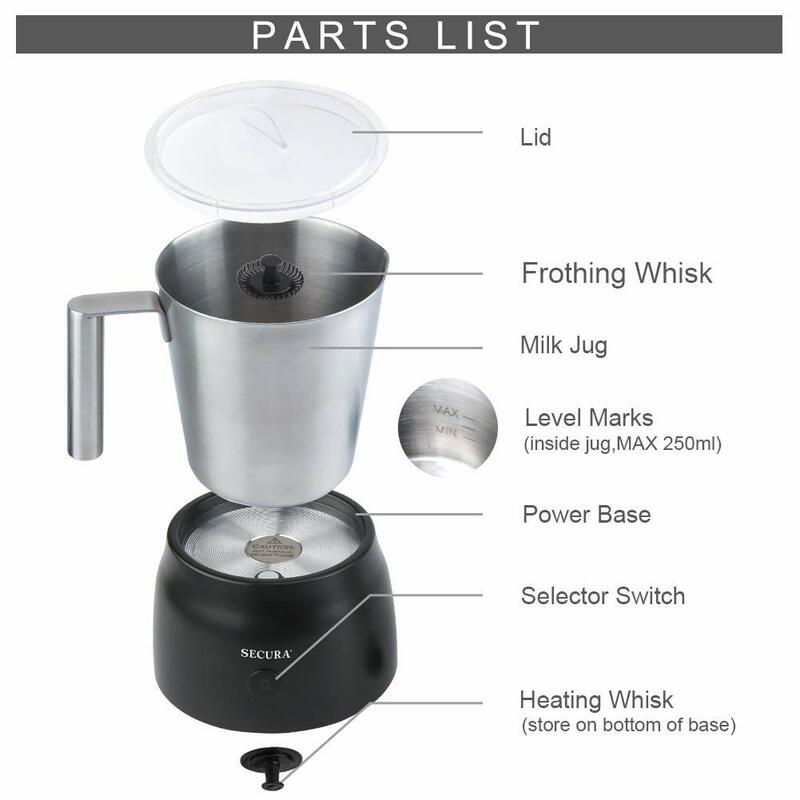 In any recipe that calls for milk, warm the milk in the frother first to help incorporate powdered ingredients faster and speed up the cooking process. 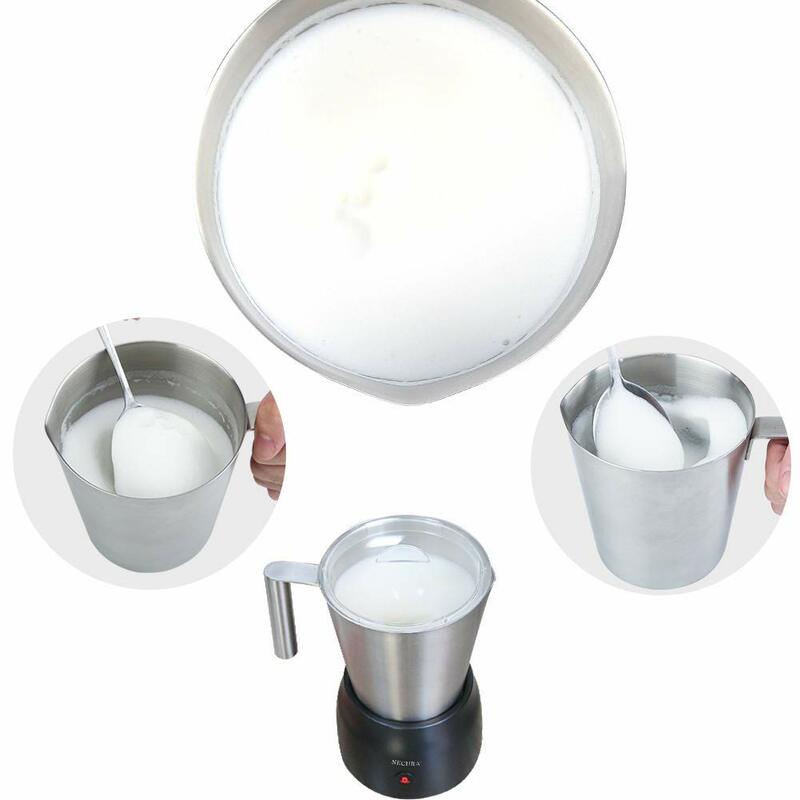 To heat milk without froth, simply replace the frothing disk at the bottom of the pitcher with the flat heating disk and the machine will stir the milk while it is being heated to prevent scalding. The heating disk is perfect to warm milk for lattes, hot chocolate or for cooking. You can even use the cold setting for making cold froth for an authentic iced cappuccino or for incorporating powdered mixes together.